Committed to providing quality healthcare to the communities we serve, in a manner where patients receive compassionate and personalized care. Thank you for your interest in Mt. 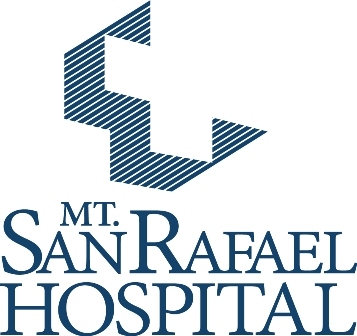 San Rafael Hospital. Mt. San Rafael Hospital is a 25-bed critical access facility serving the medical and surgical needs of Trinidad, Colorado, residents and the surrounding areas. Our vision is to be recognized as the healthcare provider of choice for Trinidad and the surrounding areas, and as a model for rural healthcare and wellness in partnership with our communities. Our staff of highly trained professionals works closely as a team to provide your healthcare services. Through the leadership of our Board of Trustees, Mt. San Rafael Hospital continues to make improvements to its facility, acquire new technology to improve services, and attract talented physicians to our community. We hope you find this site useful as you familiarize yourself with the staff and services of our hospital. We also hope you will visit this site often as a source for valuable health information. If you have comments or questions about Mt. San Rafael Hospital, please do not hesitate to contact us.